With the introduction of dual frame design of the BitFenix Spectre Pro series we raised the standards of system fans to a new level.  The new BitFenix Spectre Xtreme fans offer many features redefining the standards of cooling fans. Spectre Xtreme gives you the best performance and aesthetics using the latest in cooling fan technology and innovative designs. True to its namesake, Spectre Pro PWM users pulse width modulation technology to adjust fan speeds. This technology enables your system to control your cooling with much greater precision than conventional linear voltage fans, making them perfect for CPU coolers. Engineered for maximum pressure and airflow, Spectre Pro PWM delivers a torrent of air that will keep your CPU cool even when the action heats up. Performance freaks are going to love Spectre Pro PWM. Using a dual ring construction, Spectre Pro PWM fans not only offer aggressive looks, but also vibration dampening properties, helping to keep noise levels in check. In short, our Spectre Pro PWM looks different because it is different. High rotation speeds can actually warp fan blades while in motion, resulting in more turbulence and noise. Spectre Pro PWM features reinforced fan blades that resist warping even when spinning at high speeds for maximum cooling performance. Like our Spectre™ Silent Fan Series, our Spectre Pro PWM features the very same fluid dynamic bearing technology for minimum noise and maximum operating life.